Chinsun Magnesium Board is a kind of wall materials with low density, moisture proof as well as fireproof, it is specially designed for construction which require higher performance of fire rating. 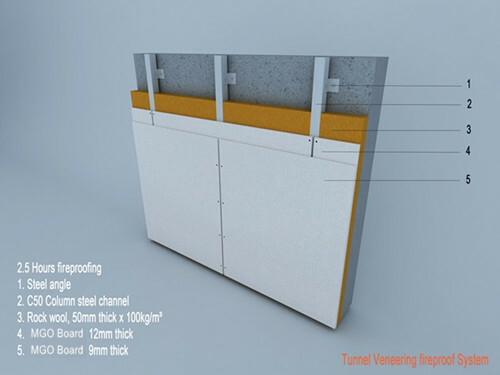 Protectpan can be applied to indoor partition, ceiling, smoke ducting, smoke curtain as well as building structure protection in civil buildings. The lowest strength (in parallel direction) is ≥10Mpa while the highest strength (in cross direction) ≥12Mpa, which meets the installation and transportation requirement of the civil building. Both flexibility and bending strength are higher than the international famous brand of Calcium Silicate Board. The highest density of the board is ≤0.95g/cm3. It can be used in both new and old building, as the light weight of fireproof board settles the problems of the renovation for the old building, It won’t affect its original construction structure. With the properties of excellent thermal insulation, it reduces the energy consume by air conditioner in the building. The outstanding high temperature thermal insulation performance has guaranteed the safety of people and belonging through fire conducting. The product can stand the temperature up to 1200℃ for 4 hours. The reasonable fireproof system design should meets the request in 4 hours fire rating for partition and 1 hour fire rating for ceiling, the performance of our product is as good as the international brands of Calcium Silicate Board. 7. The excellent performances of anti-high temperature and anti-crack make it becomes the professional fireproof product, as well as the performance of fire rating is as good as other international brands of Calcium Silicate Board. With the properties of light weight, Protectpan is convenience for worker to carry, easy to cut, and can be used as ceiling decoration. Meeting the standard of GB 8624-2006 and BS 476 in UK and passed the grade A in incombustibility test, which is the guarantee of fire proof. 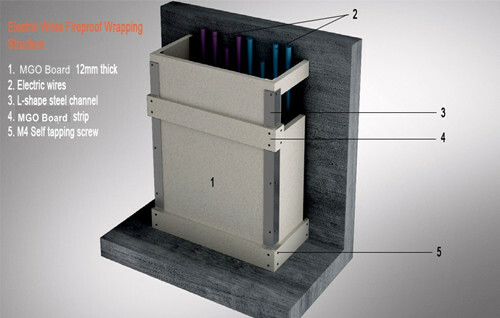 Its fire proof, anti fungus and mould proof which are good for the health of the user. 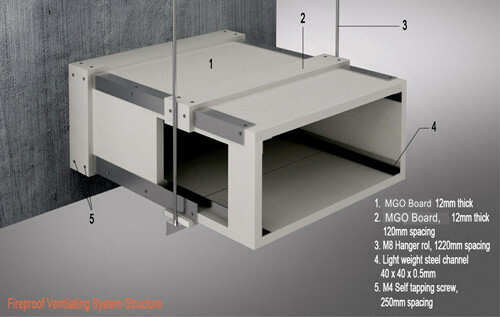 1.Insulating material and framework composes the non-loading system for partition and ceiling. 2.Protectpan can absorb the moisture in spring and summer, then release in autumn and winter in order to balance indoor humidity, therefore it improve the indoor humid environment, providing a better living condition for user. 3.The smooth surface of board can improve the decorative effect of buildings.